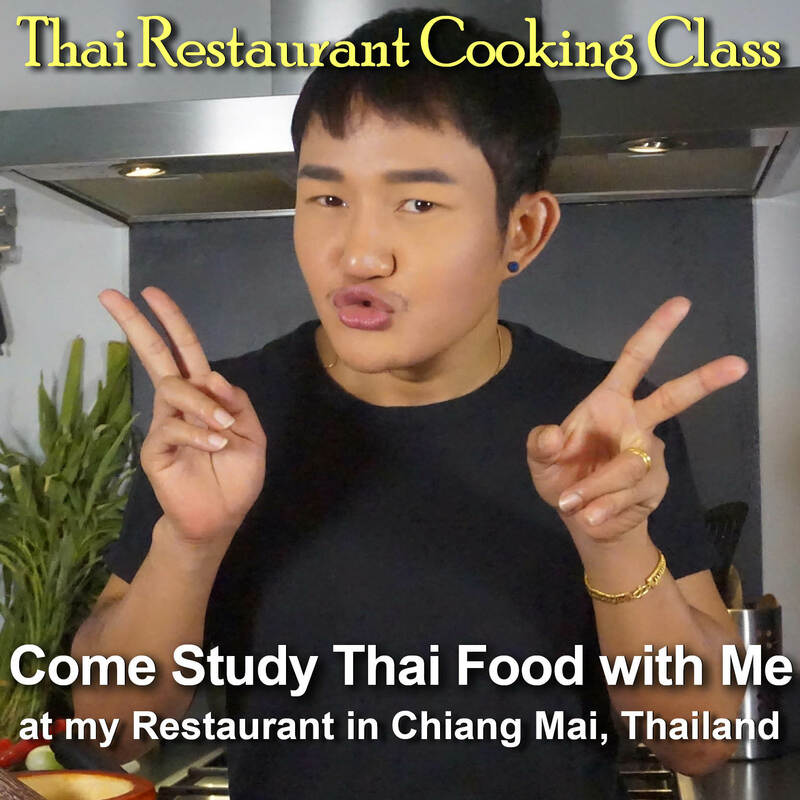 My 3 Day Restaurant Cooking Class will provide you with a solid foundation in Thai food ingredients and food preparation. This is what you will need if you want to open a Thai restaurant in your home country. But you can also come to cook with us, just for fun. It's a great way to meet Thai people, and have an experience that regular tourists will never have. This is the Real Thailand! Learn in a Real Thai Restaurant. You will follow along, help, and learn as we do our daily backup cooking and prepare the ingredients we use. You will learn to make the delicious Thai sauces, curry pastes, and condiments required in cooking, and at table. You will be able to identify the specific herbs and spices we use in Thai cuisine: the aroma, the taste, and how they look. You will assist our chef with food orders, learning our recipes as they are actually prepared and served. When you are ready, you will prepare customer orders with the assistance and guidance of our English speaking Thai chef.